Product prices and availability are accurate as of 2019-04-19 02:37:53 EDT and are subject to change. Any price and availability information displayed on http://www.amazon.com/ at the time of purchase will apply to the purchase of this product. 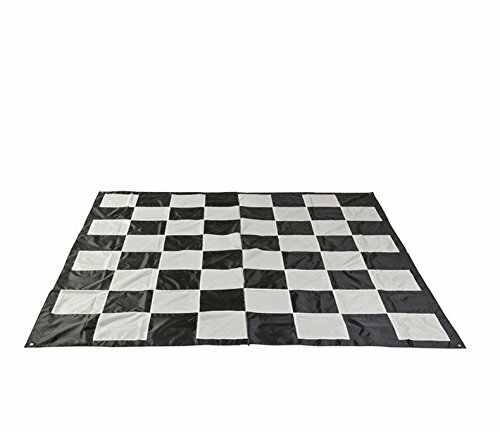 The MegaChess Giant Chess Mat is made from strong, durable, nylon fabric. It is perfect for backyards or any smooth surface. Slide it out of the lightweight drawstring bag and you're ready to play! 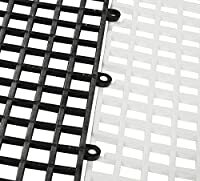 The durable, nylon tan and black playing surface is ideal for indoor or outdoor use. 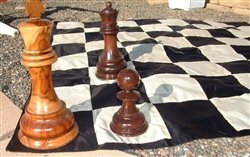 The black and tan colors reduce the visibility of dirt and look great with the Giant Chess Game pieces! Each square is nearly 13 x 13 inches and with a 1-inch border, the entire giant chess game mat is approximately 9 x 9 feet. 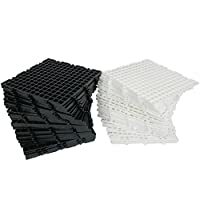 It folds down to a 15 x 15 inch square and about a half inch thick when placed in the included carrying bag for storage and transport. 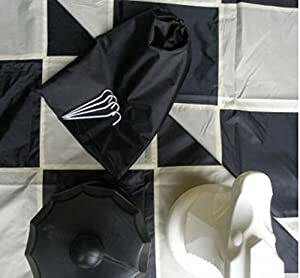 It also includes a metal grommet on each corner to anchor the mat down with the supplied (4) metal stakes and to keep the mat stretched tight while playing. It's sturdy design allows it to be played on any surface though. 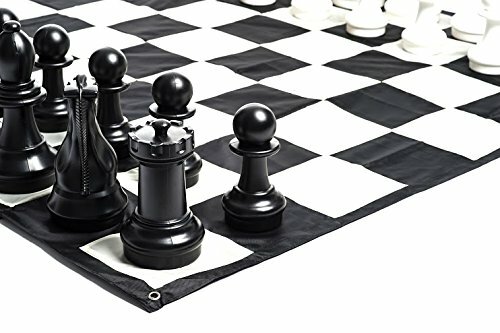 The MegaChess Giant Chess Mat is a great lightweight alternative to the Giant Chess Board.